Life, Laughter and Paris: Ah the French Soufflé! Sunday night and I'm hungry. What to have, what to have? Nothing in the cupboards worth mentioning, so I say to myself - self, what would you eat if you were in Paris right now? 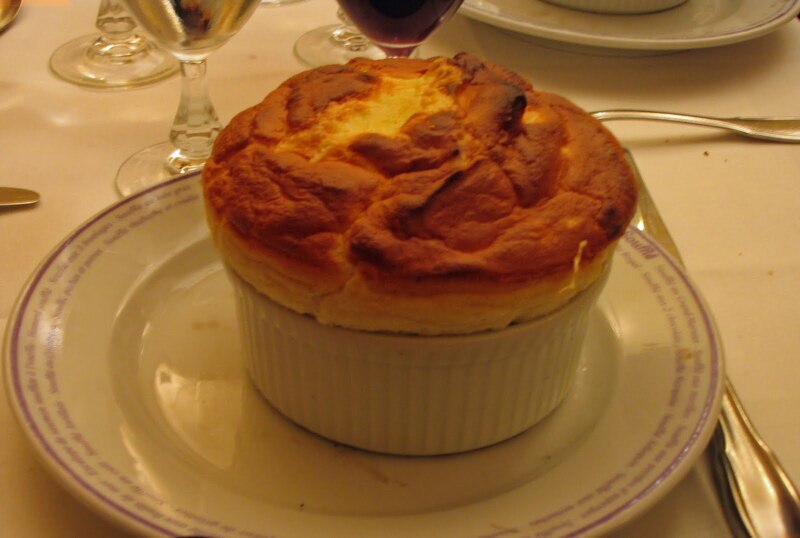 Easy peesy – we'd head over to 36 rue Mont Thabor and have a light, fluffy soufflé! Not too sweet, not too filling, just right, just perfect. (This is such a great restaurant and I recommend it if you're in Paris and want a nice meal – take a look at their web site - www.lesouffle.fr ). Anyway, I'll be picturing this while digging into a bowl of cereal.